Last month I conquered cleaning my studio, this month I am determined to get it organized. I am finding the key to getting organized is finding the right storage solution for the right job. Sure I have just as many clear plastic bins as the next guy, but I have a few other fun things helping me sort my craft supplies. 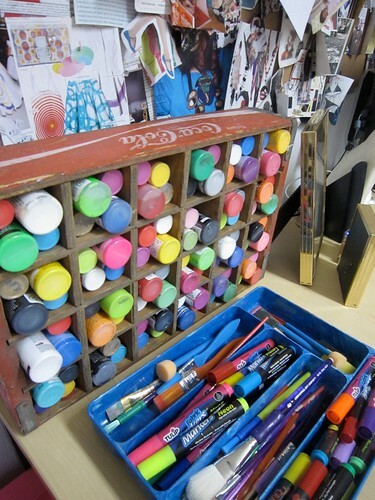 Like for instance this vintage wooden soda crate holding all my craft paint. Used to hold magazines, but not anymore. Why would I let this blue beauty hide in the bottom of a silverware drawer when it could be out loud and proud holding my paintbrushes and paint markers. 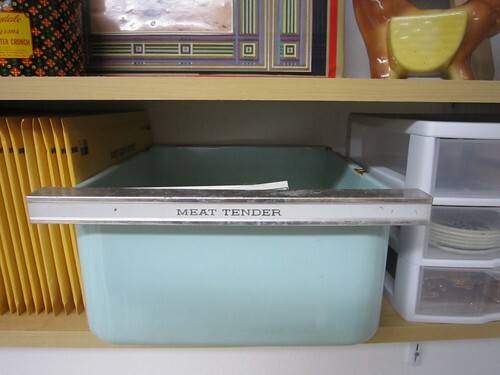 This drawer started life holding meat in a fridge, wound up in the trash where I found it, lived as a planter in my yard for years and is now holding swag in my studio. 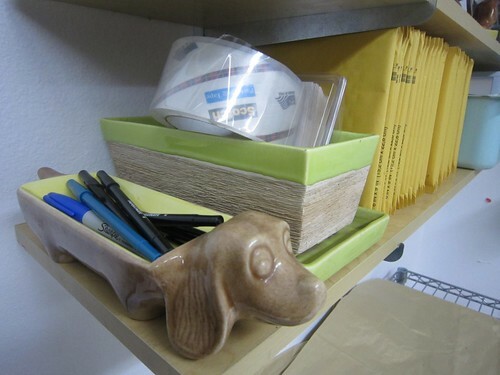 Down the shelf from the meat drawer is a weenie dog butter dish and a lime green planter now reclaimed as office tools. As mentioned in Operation Craft Space Clean Up Volume 4 I transformed a couple of old TV trays into a magnet board. Directly above my spiffy new magnet boards lives a myriad of reinvented office storage solutions. 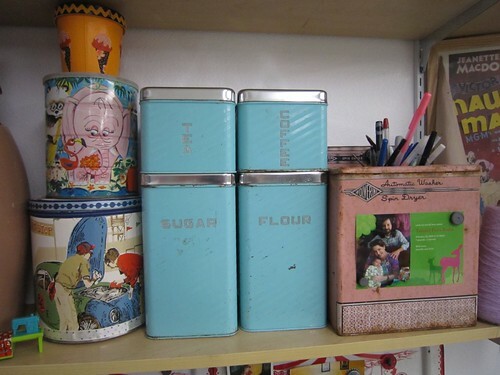 I love using vintage kitchen tins around my office. A children’s tin toy washing machine holds pens and my metal files. You might recall my wallpaper covered tin and customized ice cream carton which now sit on a shelf and hold random odds and ends. I told ya, I love those old kitchen containers. An unusual item in my studio soon to be replaced is the old door I revamped into a work table with the help of some pink Ikea table legs. Underneath my worktable lives my suitcase storage. Some of the suitcases are studios to go when I teach classes, others hold vintage cookbooks and postcards one is the lap top case I made. 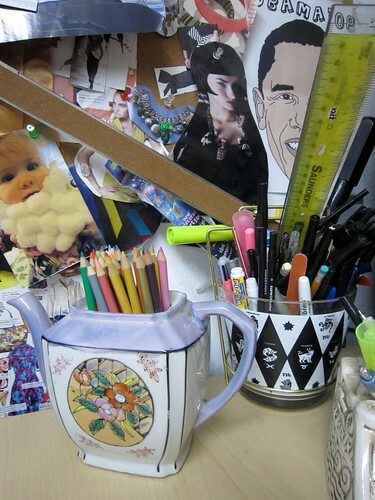 Old teapots and cookie jars without lids make great storage solutions for colored pencils and pens. How could I pass up the groovy ice bucket that probably made cocktails at a key party? It now holds office supplies on my desk. In my search for perfect studio organization I am eyeballing a few books. Got any favorites on the topic I should look into? 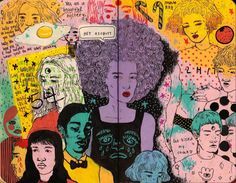 First up is Creative Time and Space: Making Room for Making Art by Rice Freeman-Zachery. This book intrigues me because it looks like more than a book with just pictures of studio spaces. I gather there are plenty of styduio spaces to look at, but also tips and tricks about how to find the time create. Next on my short list is Art Making & Studio Spaces: Unleash Your Inner Artist: An Intimate Look at 31 Creative Work Spaces by Lynne Perrella. I have Lynne’s book Alphabetica: An A-Z Creativity Guide for Collage and Book Artists (Quarry Book) so from my experience thus far I’d like to think this would be a good book. 31 different studios to snoop through does sound good! There is not one, but two versions of the next book. First there is the original Where Women Create: Inspiring Work Spaces of Extraordinary Women by Jo Packham. 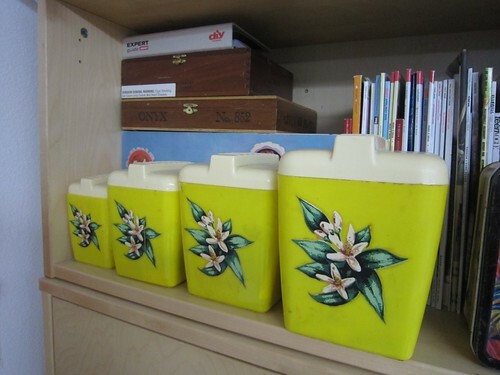 I have blogged about Jo before because she featured my bathroom and old living room in her book Kitschy Crafts: A Celebration of Overlooked 20th-Century Crafts . I have actually flipped through this book before. There is a part 2 to this book coming out this spring that is high on my amazon wish list called Where Women Create: Book of Inspiration: In the Studio and Behind the Scenes with Extraordinary Women . 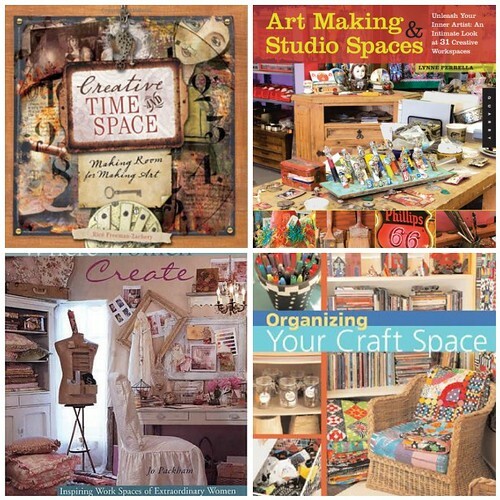 Last, but not least is Organizing Your Craft Space also by Jo Packham. The title alone sounds like it is pretty applicable to my current situation. Do you own any of these books? Can you recommend them? Posted February 2, 2010 & filed under Books, Crafts, Recycled Crafts, studio. Thanks for the tour! Great studio! Wow, I love your studio, and how you re-use items in creative ways! Truly inspirational! I've read "Organizing Your Craft Space," and found it useful. It highlights the different storage needs for different types of crafting (beadwork, sewing, etc.) and does talk about repurposing items for storage. it's lookin' good! i haven't read any of those books- go see my blog for proof! ha! Just FYI- i had to mention your daughter's name on my blog today 🙂 cause i love it so and I'm making fawn jewelry! 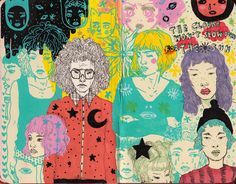 I have been following your blog for quite some time and I just LOVE IT! 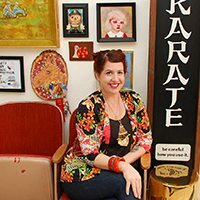 I am totally in love with your kitschy style and your blog has been such an inspiration to me. Thanks for sharing all of your wonderful ideas! As for organization…yeah, what is that? LOL! Just kidding! I seriously would love to read one of these books myself, so if I find a good one I'll let you know! You know, who says storage has to be clear plastic all the time! I love using cast offs too and this is down right infectious and inspiring! 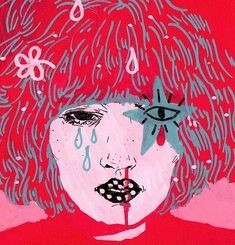 in addtion to Creative Time and Space (which, of course, you MUST have), i'd suggest trying to get back issues of the Cloth Paper Scissors Studio magazines (like a special edition, but a new issue out periodically) and the quarterly Where Women Create. i referred to both many, many times when i reorganized my studio this past summer. lots of ideas = eye candy. Thank you so much for your very nice reviews. Both of those books have been on the store shelves for a while so it is good to know that they are still applicable. You will love the new book. It is not about organizing but what inspires some of the artists that we all love. Wonderful post! Really enjoying your blog! You have a lot of great ideas! I see a lot of us crafters covet the same items. I have a soda crate, too. I keep little glass jars full of buttons and jewelry in mine. I have the book "Organizing Your Craft Space". It is awesome. I was just looking at the Art Making Studio Spaces yesterday and almost bought it! I love the originality of your storage items! 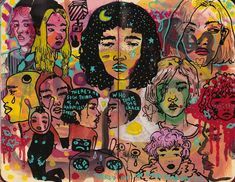 My absolute FAVORITE studio/inspiration book is "Where Women Create"-hands down! And Jo's other book, "Organizing your Craft Space" is a great how-to/motivator. I can't wait for " Where Women Create-Book of Inspiration" to come out!! Great tour!! I really like the way your paints are displayed -you can see all of your colors at once for inspiration. Thanks for the book recommendations too. The first book that helped me out, and made me realize that you can work with any size space is by Memory Makers. 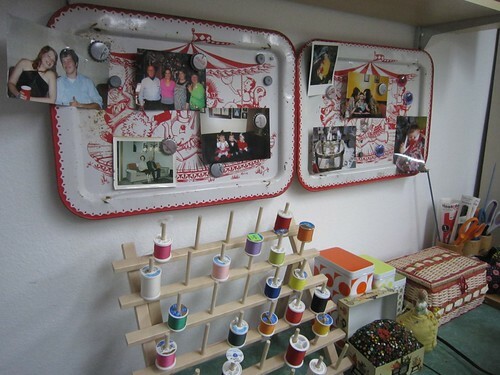 "Scrapbook Workspace -storage solutions for any budget"
Thanks for sharing your awesome ideas. what a change! It is amazing to see before and after. 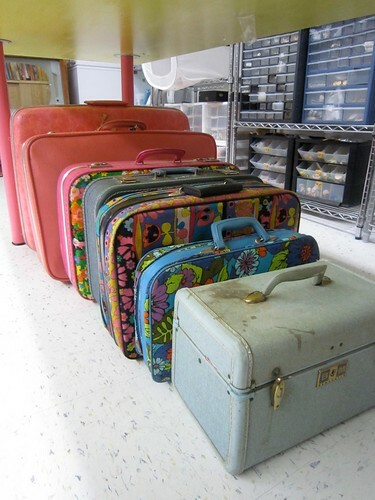 Your different ways to upcycled items in storage are really interesting and give me some ideas. Congratulations for your excellent job: you have now the studio which everyone dreams about. I’m one of those OCD people (no, I really do have OCD, paperwork and all) and I need to be able to see all of my crafting/art supplies. 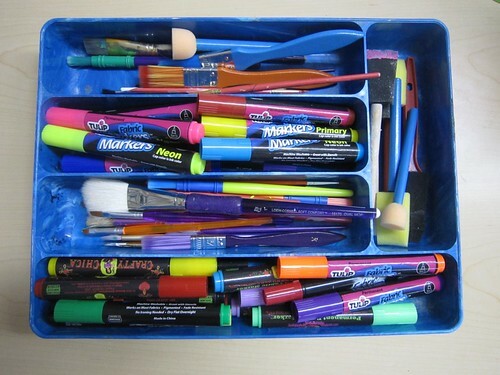 It’s become a crazy adventure in how can I best see all of my pens, colored pencils, markers, etc. I did let myself pick up a cabinet from Ikea that is perfect for holding paper, sketchbooks and notebooks. The Alex drawer unit saved me from my over abundance of collecting notebooks and sketchbooks (http://www.ikea.com/us/en/catalog/products/40196241/). For Christmas my parents gave me a wooden soda crate, like yours, and I’m in the process of moving all my pens and markers from their upright positions to a lying down position and using the soda crate to store them properly. I also make jewelry. I have three large drawer units from the hardware store with clear drawers so I can see inside all of them and a small unit. It’s made making my jewelry so much more pleasant now that I can seee all of my beads and findings. To be honest, I need a few more of those drawer units because some of my beads are mixed together and it drives me nuts knowing that. Hey Wendi I have kinda back peddled on this stance. I too prefer clear bins and like to see everything. Some things it does not matter as much and opaque storage is fine. However, for the most part I prefer clear. I need to look into that Alex cabinet. Problem is I don’t have a studio anymore and my kids will get into anything too low.